Arbeit und Leben Hamburg - We wish to cordially welcome you to our consulting center “handicap”! Welcome to consulting center "handicap"
We wish to cordially welcome you to our consulting center “handicap”! Our team provides information, advice, and support to work councils (BR), staff councils (PR), employee representatives (MAV), as well as advocates for disabled employees (SBV). Our services cover a variety of issues, such as inclusion in the work environment, laws concerning the disabled, integration management at the work place and demographic change. All services we offer are free of charge, and we will be more than happy to come and visit you at your location and convenience. We offer educational workshops and can also provide you with information concerning other possibilities for pursuing advanced training or reintegration assistance. Take advantage of all our services! We’re here for YOU! 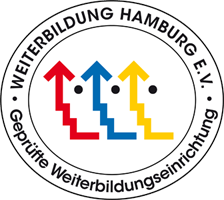 Our consulting center is sponsored by funds from Hamburg’s municipal office for integration.